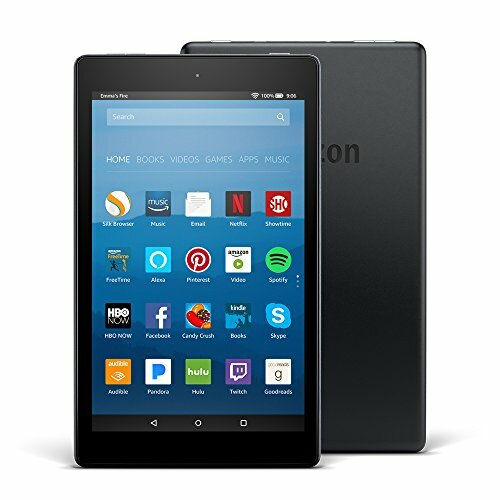 The next generation of our best-reviewed Fire tablet, with up to 12 hours of battery life, a vibrant 8" HD display, a 1.3 GHz quad-core processor, 1.5 GB of RAM, and Dolby Audio. ​I think that a Kindle is one of the best presents you can get anyone. They are light, portable, relatively inexpensive and convenient. They are a great gift even if the person has a tablet and laptop. I keep my Kindle in my purse, that way I never am caught without a way to pass the time. I have used it in doctor's waiting rooms, restaurants, traffic jams, long checkout lines and a dozen other places where normally I would just sit and be bored. They are also great to take traveling. Since they are light, they are great to take on planes, and provide entertainment in lonely hotel rooms. I don't know about you, but I have a problem playing games or reading on my phone, the screen is just too small! That's why a Kindle is the perfect traveling companion, and it is not a huge financial hit, if it gets lost or stolen, like a $700 tablet would be. I would highly recommend a Kindle as a gift for Christmas or Birthdays! I bought this case for my Kindle and I love it. Plenty of room inside for keys, cash, etc.